As a buyer, before you decide to waive your financing contingency you should know what the financing contingency does: You need your personal loan approval to be sound, the property must be lendable, and you need to be prepared to deal with the appraisal. Once you have addressed all these conditions you are in a good position to waive your financing contingency and beat out cash offers. What Does Your Financing Contingency Do? The simple answer to this question is that it protects you from losing your earnest money if your financing fails during the process of you purchasing a home. Whether your personal financing failed, or the property failed to be approved by the lender, the financing contingency protects your earnest money. This all assumes that you have made a good faith effort to acquire a loan. A good faith effort means you have not deceived or mislead your lender. You’ve made full loan application within the time period noted on the contract. You have submitted all documents to the lender in a timely manner. And most importantly, you have the necessary non-contingent funds needed to close. Consider all of this things before you commit to waiving financing. By waiving financing, you are essentially saying to the seller that your offer is as good as cash. You and the property are so well qualified there is no way your loan is going to be denied. If it is denied for any reason, the seller gets to keep your earnest money. When you apply for a loan, the lender conducts a thorough check of your financial background. They review employment, assets, credit score, bank statements, and more. They need to verify that you are a solid candidate for a loan. Good lenders will do most of this verification upfront so you don’t have any surprises while you are in contract on a property. 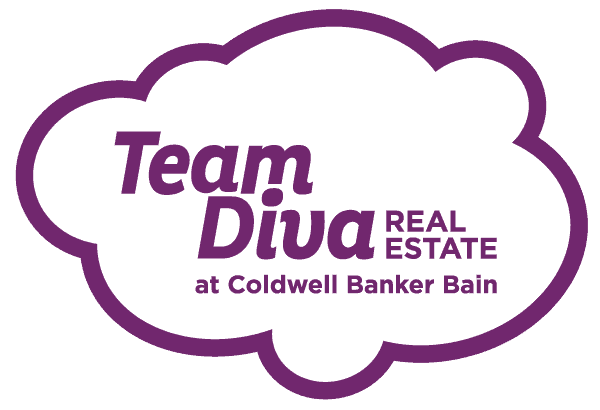 Here is a quick guide on how to get pre-approved for a loan like a Smart Diva Dweller. Before and during the transaction, it’s important that you maintain your employment, income, and credit score at the same level you were originally approved. If any of those items were to change, your loan could be denied. If you are waiving financing and your loan is denied, you will lose your earnest money. Pro Tip ~ Have a conversation with your lender to see if your file has been sent to underwriting before you waive financing. When you apply for a loan, you are not only seeking approval for yourself. You are seeking approval for the property as well. Houses, townhomes, and condos will be assigned an appraiser that assess for value and habitability. The bank is not going to lend on a property that is unsafe for residents. The bank may not lend on a property with unresolved hazardous conditions. If you have waived your financing contingency and the bank refuses to lend, your earnest money could be in serious jeopardy. Condos have slightly more risk because there are many factors that are out of your control. Your lenders underwriting department is going to review the building’s financials to ensure the HOA is healthy. Underwriting will be looking at items such as high delinquencies in dues, square footage of commercial space, budgets, and renter to owner ratio. If any of these items fall out of the lender’s acceptable parameters, they may not finance the building. Once again, if this happens and you are waiving your financing contingency, you would lose your earnest money. Tip ~ A pre-inspection can help you determine if the lender is going to find major defects in the home during the appraisal. If your licensed inspector does not find anything, chances are the appraiser won’t either. The appraisal clause is part of your financing contingency. If you waive your financing contingency, then you are also waiving your rights in the event of a low appraisal. In the event of a low appraisal, the appraisal clause gives you options to negotiate with the seller or leave the contract with your earnest money. Without the financing contingency, you would need to cover the difference between the purchase price and a lower appraised price. Here is some information about waiving the appraisal. Tip ~ You may be able to use an appraisal addendum in lieu of a financing addendum. This way you can waive financing, but keep your appraisal protections. As you can see waiving financing has its risks. You can minimize those risks by doing your due diligence before you submit your offer. 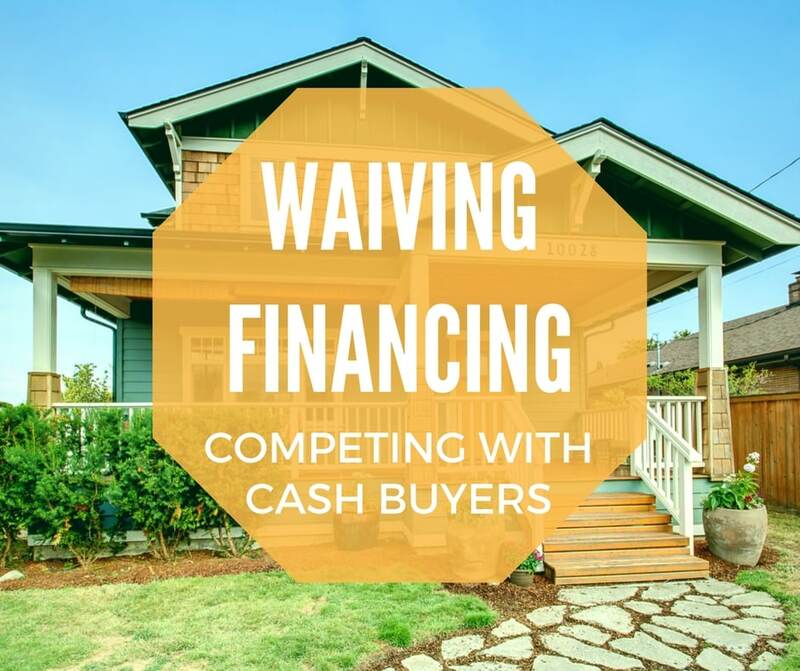 Talking with your lender, consulting your real estate agent, and reviewing all available documentation are the keys to waiving financing comfortably.